"Great flavor combinations in these simple, fast, and economic kabobs." Place lemon grass, onion, and garlic in the container of an electric blender or food processor. Cover and blend or process until finely chopped, about 10 seconds. Scrape lemon grass mixture into a bowl, and stir in beef, salt, pepper, sugar, cornstarch, oyster sauce, and sesame oil. 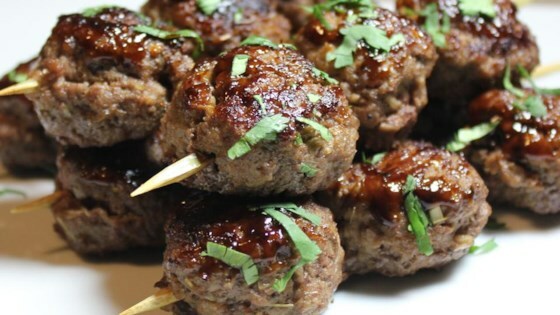 Form meat mixture into 12 meatballs. Thread onto skewers. Cook on the preheated grill until the meatballs are well done, about 7 minutes per side. An instant-read thermometer inserted into the center should read 160 degrees F (70 degrees C). Spruce up taco night by whipping together this homemade seasoning mix.